Dr. Khan is a graduate of the Ohio State University College of Medicine. She completed her neurology residency and sleep medicine fellowship at OSU Medical Center. 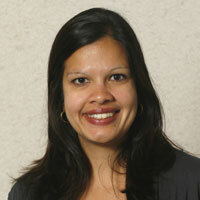 She received the Excellence in Student Teaching Award in 2007 during her neurology residency. Dr. Khan is also Assistant Program Director for the Sleep Medicine Fellowship program. Dr. Khan’s clinical interests are sleep medicine and neurology. She has a particular interest in sleep disorders such as narcolepsy, parasomnias and REM sleep behavior disorder. Dr Khan is also working to build programs to evaluate sleep disorders in neurology patients- particularly in those with stroke or neuromuscular disease. She also will see general neurology patients.